Are you looking to upgrade your summertime experience? Adding a Grill Island makes entertaining and socializing with guests a fun and easy experience. Grill islands and traditional Outdoor Rooms offer a space for mingling with visiting family members and neighbors. Notice the special features in the "Hamilton" Grill Island Project by Leisure Select; this project is truly an outdoor kitchen, giving you the power to cook like a professional chef! 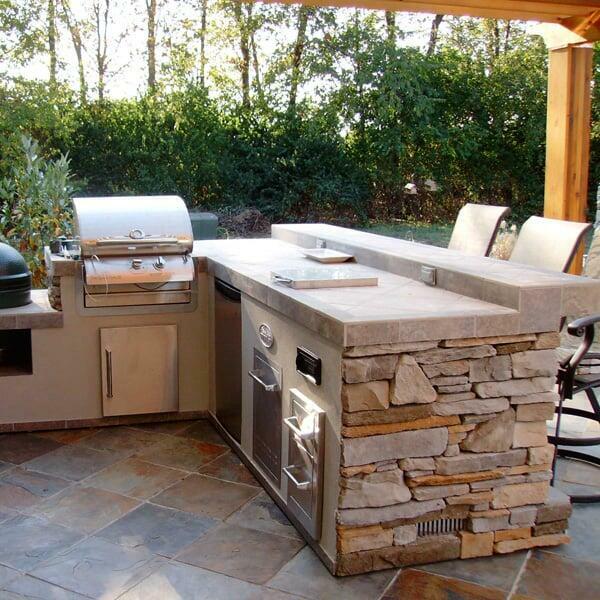 Notice the built-in gas grill, smoker, stereo, fridge, storage shelves and cabinets; this grill island offers everything you need to revolutionize your cookout experience. Maybe this grill island doesn't fit your home's style? 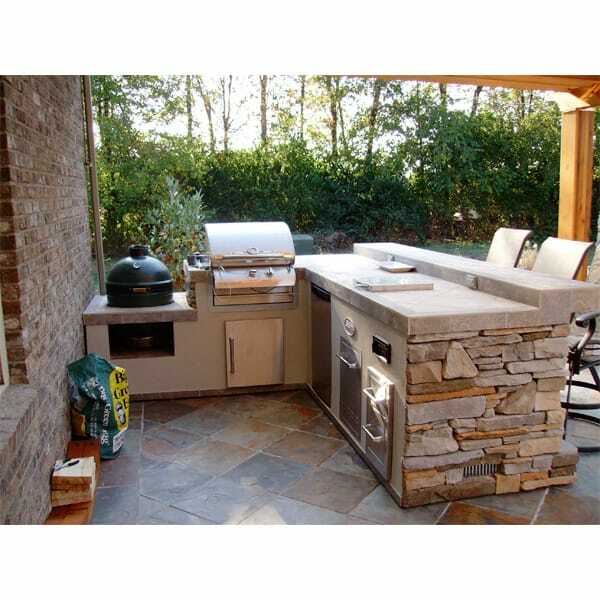 Well this grill island is customizable, from the custom stone and tile to the accessories and appliances, so be sure you call for details. Change up the landscape in your backyard this summer! Contact us today and ask about the "Hamilton" Grill Island by Leisure Select.